Choosing this eco-friendly giveaway for your next event is the "write" thing to do! 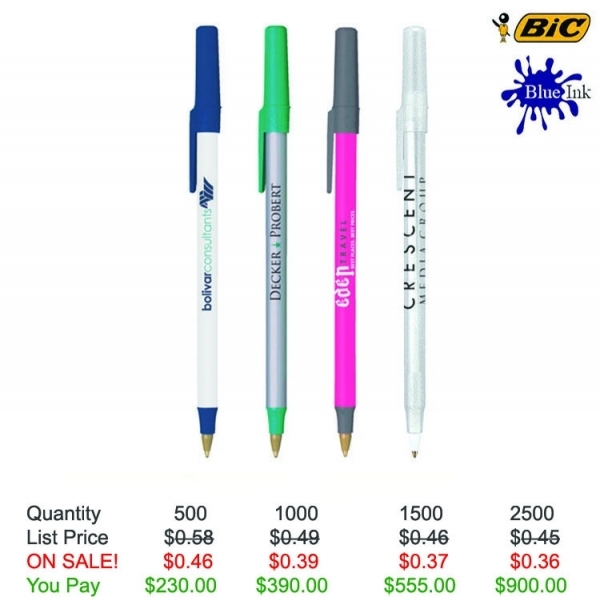 Made with 76% pre-consumer recycled plastic, our BIC (R) Round Stic (R) medium point ballpoint pen is assembled in the USA. 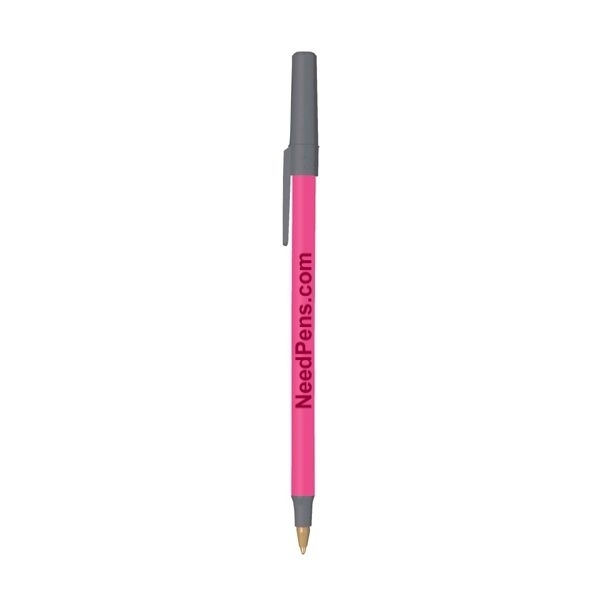 You can't go wrong handing out this always-in-stock, black ink item. 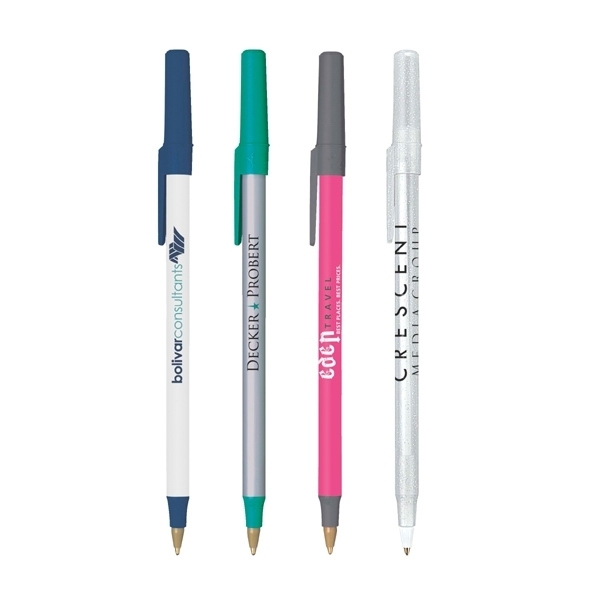 A silkscreen of your company's imprint on this pen is a perfect brand builder in any business, program or venue. Order now! Customize Your Product: Up to 4 lines of text - 35 characters per line max. Item Color: Choose 1 barrel color and 1 trim color. Color Ink/Point: Black or blue ink with medium point. Black or blue ink with fine point. Shipping Weight: 6 lbs. per 500 - FREE Shipping! Additional Information: Additional Imprint Color $0.15 ea - For more information call Customer Care 877-706-1866 - Please note that barrel and trim colors may not be an exact color match. This bic pen is well worth the price, great choice of colors and writes really well.